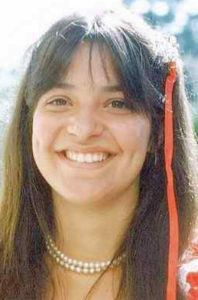 $50,000 Reward for information leading to an arrest and conviction for the murder of Veronica Perotti. *For information leading to an arrest and conviction. Assist families through the complicated criminal justice system. Provide trial and courtroom support to victims. Accompany victims to parole hearings in their endeavor to keep the convicted murderer in prison. Provide information on pending crime legislation. Become involved with Citizens Against Homicide today. We provide help with parole opposition. Were you the victim of a crime and the court ordered you restitution? We encourage everyone interested to attend. meetings occur the third Sunday of every other month. Second Sunday of each month at 10:00 A.M.